To summarize: 10 dives in 5 days over 6 days in Tioman. Beautiful weather, clear visibility and an ocean of wonders. 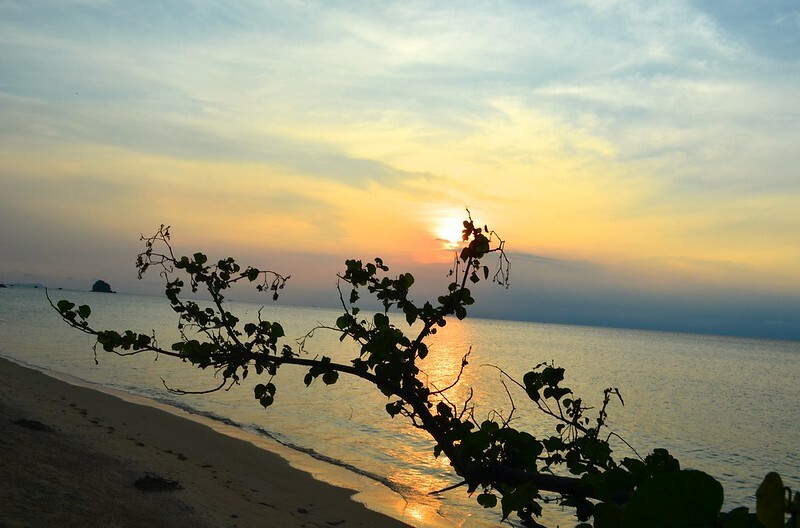 Like some of great places I’ve arrived at when traveling, Tioman Island started as a few day reservation, which then extended into a much longer stay. I had reserved for 3 nights but ended up staying over a week. I’m currently in Malaysia, where I’ve spent a nice travel and work time in Kuala Lumpur, Malacca and Johor Bahru and most recently I’ve settled in Singapore for the next month or so (perhaps longer). 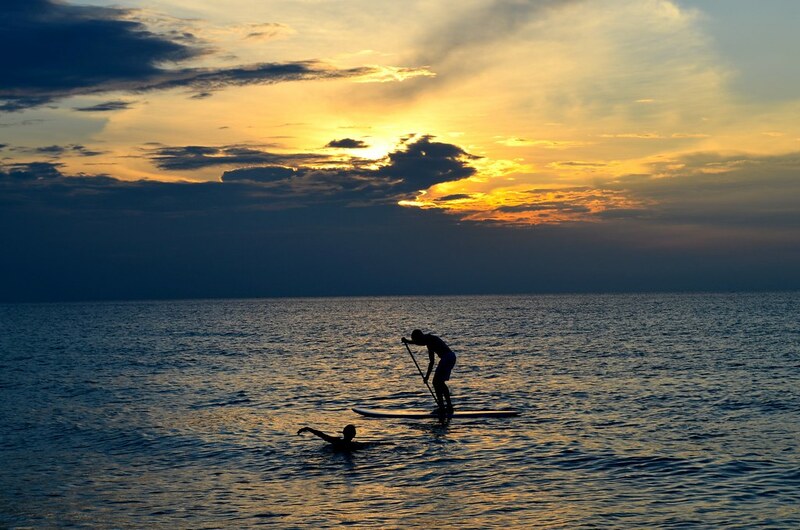 Tioman Island is something special, located in the southern part of Malaysia, along the Eastern coast. It’s primarily Malay and situated over some of the nice coral diving in the area. Tioman may not quite be heaven but it’s so far from it either. Here are some thoughts for the tech and general traveler about getting there, where to stay, where you might dive and some tips for staying connected on this jungle island. It’s a few hours from Singapore or Johor Bahru by bus and ferry. There are regular buses to Mersing, from which you can take the morning, early afternoon or early evening ferry to and from the island. It should be noted that the ferry varies, so it’s good to check in advance. If you are leaving from JB or Singapore in the early or mid-morning, it’s likely you’ll be in Tioman by late afternoon or early evening. Tioman is a volcanic island mostly covered in thick jungle. Several fishing and tourist-focused villages are scattered across the island. It’s relatively isolated, while also having enough creature comforts too. I wouldn’t say Tioman is filled with super tourist stuff. Mostly it is snorkeling and diving with the possibility of boat tours around the island and a few small treks you can take. One nice adventure was taking the jungle path from Tekek across the island. It’s not a particularly tough trek, but it does take time and I’d recommend taking some water. While it was possible to arrange a taxi or ride back, I found that the price and times weren’t great, so instead I just started walking back and eventually flagged down a car to take me the rest of the way. Definitely cheaper and more convenient. While online booking option were quite limited, in reality there is quite a few places to stay on the island, including a pretty big resort on the south of the island. For backpackers, the cheapest and youngest crowd tends to stay in the south village called ABC. For mid-range and highest concentration of dive shops and restaurants there is Tekek, which is where I stayed. Accommodation options are somewhat basic, but the rooms are clean and most have hot showers. For Traveling Tech Worker or Digital Nomad, internet speeds for Wifi isn’t great on the island. I tried quite a few places but even in the biggest resort internet speeds and reliable wasn’t great. Fortunately I made one really great and “life” saving choice before arriving: I bought a Malaysia SIM card and a 3G Data plan. The SIM card with some free minutes was about 25 Ringits or about 7-8 dollars USD. The week plan of unlimited 3G internet cost 18 Ringits or $5.50 USD. While there were many times when the wifi didn’t work or work well, 3G connectivity and internet speeds were quite good. It wouldn’t be super fast for watching movies, but for me, it was more than enough for email and some basic web work. Having internet made it possible for me to stay beyond my original reservation. For me the main reason I went to Tioman was to work on my diving. I’d gotten my diving certification in Thailand in January and wanted to improve my diving skills as well as get to see a cool beautiful new, underwater world. I had intentions of “working” some, but mostly I wanted to dive. To make it happen, I just need to make sure I stayed caught up on the digital world of things needing to be done. I accomplished all of these goals and much more while I was there. My diving got a lot better. Excluding a few issues on the first dive, my next 9 dives went extremely well and got progressively better. I’m still quizzing my diving buddies and guides in order to improve and learn, so their feedback along with the daily practice helped me to finally feel really great diving underwater. It wasn’t clear to me when I started diving that learning to dive would take time from being a basic diver to becoming a competent, confident diver. While the courses will get you up to speed quickly, it takes time underwater in different conditions to get more instinctual about the actual diving process. For me the biggest leap came this past week around my 12th and 13th dives. I have gotten much calmer under the water, breathing was steadier, buoyancy was controlled and I was able to be instead of trying to be there. There are quite a few dive shops on the island servicing different kinds of travelers, including the weekend crowd from Singapore. In my case, I emailed a few shops and ended up diving with Tioman Dive Centre, which offered reasonable prices (100-120 ringit per dive with equipment), small groups, competent guides and instructors, and a range of sites to go to. They were really friendly and didn’t really have any complaints over my 5 days of diving. Tioman Island is a great balance things. It’s very Malay, compared to other places in Malaysia. So, it was a good chance for me to practice some of my Malay learning. It is also an extremely good balance of isolated and connected. It has natural beauty (both as an island and underwater world) and enough creature comforts (like food) to make sure you aren’t too isolated. It’s also quite cheap, which doesn’t hurt either. For more on my tech wandering travels, check out my Traveling Entrepreneur series or follow me on twitter at @markwkoester. Photo Credits: Photos are my own.